Ushuaia draws hordes of tourists eager to visit Tierra del Fuego and experience life at the “end of the world”, as Argentina’s tourist authorities like to style it. Few visitors to this picturesque and beguiling spot realise, however, that among the city’s first settlers were some of the country’s most dangerous criminals, who had been sent to what was once known as the “Siberia of Argentina”. In an effort to consolidate Argentina’s sovereignty over this region of Tierra del Fuego and open it up for further settlement, the Argentine government established a penal colony here in 1896. The early city’s buildings and infrastructure – including the railway that runs to Parque Nacional Tierra del Fuego, 12km west of Ushuaia – were built by forced convict labour. Overlooking the icy Beagle Channel and backed by a snow-covered mountain range, the prison itself must surely have been the most beautifully situated in the world. Not that the views would have provided much comfort for the inmates, who suffered truly horrific conditions, as a tour around the prison – which closed in 1947 and is now an atmospheric museum, the Museo Marítimo y Presidio – starkly illustrates. The prison was designed in the panopticon style – the wings radiating out like spokes from a half wheel – to allow the wardens to observe inmates without them knowing they were being watched. The wings have now been opened up to the public; two host artworks and maritime exhibits, while wing four tells the fascinating tales of some of the most notorious residents, giving an all-too-real insight into the horrors they endured. Conditions in the prison were spartan to say the least. Each of the cramped cells had a tiny window, a wooden platform that functioned as a bed, a rudimentary chair and a narrow counter. The only personal possessions a well-behaved prisoner was allowed were a couple of books, stationary, sugar and mate (a type of herbal tea, Argentina’s national drink). 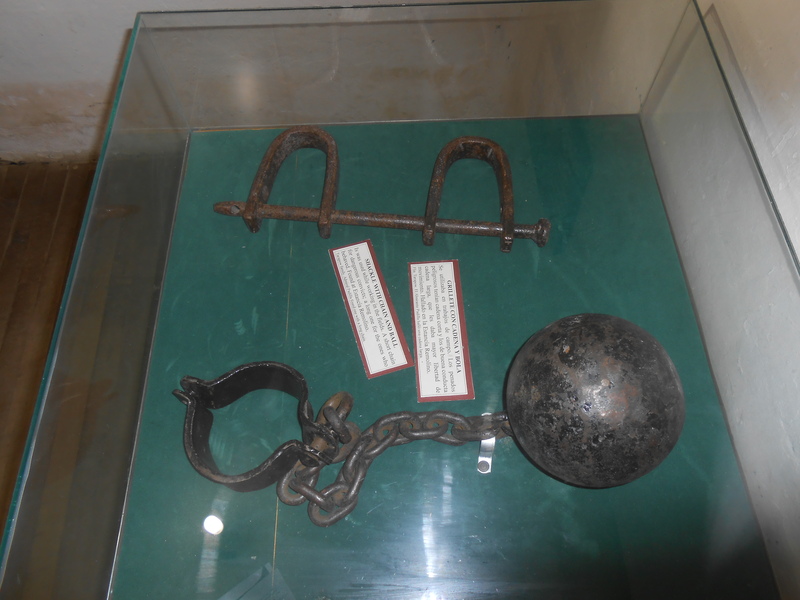 Dangerous convicts were kept in check by heavy shackles and bulbous ball-and-chains. A couple of small heaters outside in the corridor were the only source of warmth for the whole wing. Today, even if you visit during the height of summer, there is a noticeable chill in the cells – what conditions were like in the depths of winter, when temperatures in Ushuaia can plunge well below zero, hardly bears thinking about. For those inmates deemed fit enough to work, backbreaking days were spent felling trees in the dense forests surrounding the prison, hacking at rocks in the quarry or laying railway tracks, labours brought vividly to life by a series of evocative black-and-white photos. Anyone who stepped out of line was sent to the “dungeon”, which is just a bleak as it sounds. 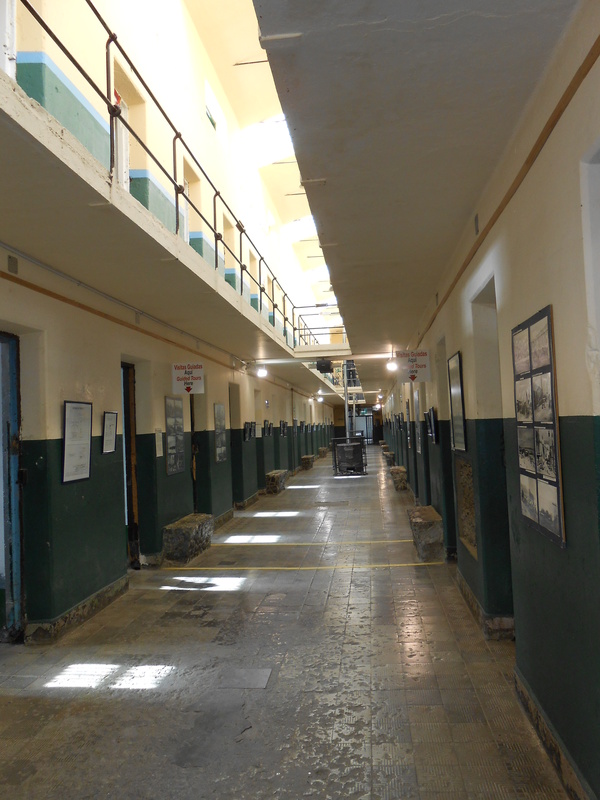 You can also visit the cells of other notable inmates, such as Mateo Banks, an estate owner of Irish descent who in 1922 was convicted of killing eight people – including three of his siblings – and Cayetano Santos Godino, a criminally insane child murderer nicknamed El Petiso Orejudo (The Big-Eared Short Man). The most evocative part of the museum, however, is Wing 1, which has been left largely untouched. Stepping into it eerily transports you back a century or more: there are no exhibits, information panels, heating or – generally – any other visitors, leaving you alone with just the empty cells and the peeling paint work for company. The only sounds are the echoes of your own footsteps and – when I was there at least – the plaintive mewlings of an unseen cat. It is a sinister, unsettling place that – when you leave the prison and head back into town – makes you very appreciative of your own liberty. A version of this article first appeared on www.roughguides.com.